Company Profiles | adhesives | chemical products | functional resins | development and production | Toyopolymer Co., Ltd. Completed resin production plant in industrial complex in Kusatsu, Shiga Prefecture. Set up Tokyo Office in Nihonbashi Honmachi, Tokyo. Enlarged organization by expanding into adhesive and coating materials fields. Increased capital from initial 500,000 yen to 100 million yen through several capital expansions. Launched six-division structure composed of the Synthetic Resins, Textile-processing Resins, Adhesives, Coating Materials, Emulsion, and Chemical Products Divisions, with each division assuming its own responsibilities. Constructed chemical product plant in vicinity of Head Office. Completed second factory in Kusatsu Plant. Expanded first factory in Kusatsu Plant. Acquired 3.3ha site for factory in Katsuta-cho (now Mimasaka-shi), Okayama Prefecture. Relocated Tokyo Office to Higashinihonbashi 2-9-2, Tokyo. Reformed corporate structure by launching sales and research headquarters. Completed first stage construction of Okayama Plant (for chemical product production). Increased capital to 200 million yen. Changed company name to Toyopolymer Co., Ltd. Completed second stage construction of Okayama Plant (for adhesive production). Built Rubylon Production Building (350m2) in Okayama Plant. Constructed third factory in Okayama Plant. Set up Lauren production facility in the third factory. Hisako Fukumura assumed role of president. Launched business improvement project (new restoration project toward twenty-first century). Increased capital to 380 million yen. Okayama Plant obtained JIS certification. 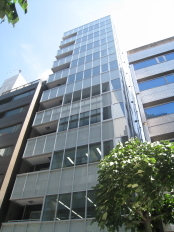 Relocated Tokyo Office to Shinbashi Station area. 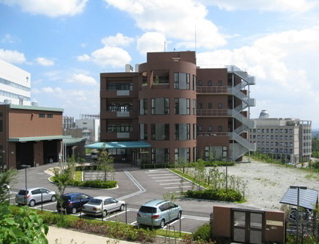 Relocated Head Office to Miyahara, Yodogawa-ku, Osaka. Kusatsu Plant obtained JIS certification. Shifted to dual headquarters system with Head Offices in Osaka and Tokyo. Reduced capital to 100 million yen. Hitomi Ninomiya assumed role of president.